In college, writing papers is just a necessary evil that comes with passing classes. But the difference between a good and great paper is how well the content is organized and mind mapping software is meant to do exactly that. With mind mapping, you can separate different ideas into groups visually which is much easier to form into single subject paragraphs than reading off of scribbled down notes. Take it as a sort of middle step between the notes and the paper. It might take a little extra time to create but the difference in quality of the final product is very noticeable. Not all mind mapping software is created equal however so we set out to find the one application that would be the most useful for college students based on a few things. First of all, it must be on the web, nothing should need to be downloaded to run it. Also it must be able to save to your account so when running from computer to computer throughout the day on campus, you can access your work anywhere. And on top of all of that, it must be able to work on any OS. So once we narrowed those programs down we then graded them based on three things. We wanted to see how easy it is to use, how flexible is the overall program, and how good is it at exporting and importing. With these things set in mind, we set off to find the best mind mapping software on the web. Bubbl was extremely easy to use. It felt very straight forward for the features it offered and was a quick tool to get the hang of. This is the major drawback from using this service, there isn't much you can do other than make a bubble and put some text into it. If you have a web that has a lot of different elements to it the whole thing it becomes really cluttered and unorganized. This is a great tool for making smaller, simplistic webs. They seem to have this feature down pretty well. 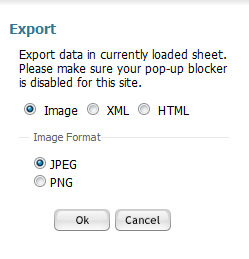 You can export to a variety of formats so you can edit later as well as being able to export to images to be able to save or upload to the web. 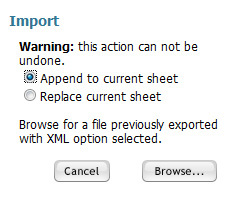 If you want to be able to import the web for later editing though you need to export it in an XML format. - not as visually appealing as the other Mind Mapping websites. - Once saved difficult to re-edit.